As much as it is important to honor those who gave the ultimate sacrifice of their lives, it is also important to honor those who may have returned home, but are still giving and serving by their daily and ongoing battle with the damage and ravages of war that lingers behind. This time around Memorial Day is a fitting time to express our thanks for the sacrifice our veterans have made for our independence. 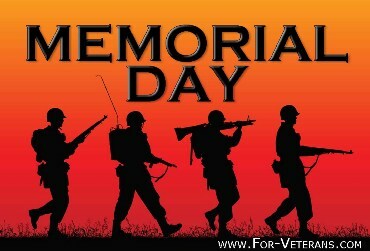 On this day those who served their country as warriors are honored and celebrated. To thank them for their service we offer up a prayer of healing. 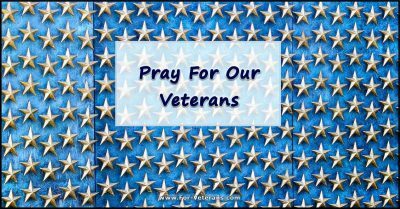 I ask we all pray for healing them from the hurts that their service has created, physically, emotionally and mentally. We pray and encourage them to receive the grace and healing power of self-forgiveness and compassion as we honor their self-forgetfulness and service. May they be held within the healing power of Love as they are granted the grace of putting it all behind them with the healing power of letting the past be in the past. We pray for their healing from the hurts our failures inflicted as we as a society and a world called upon their sacrifice to wage war instead of keeping peace. 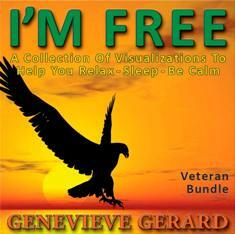 – For Veterans who are experiencing challenges in their life because of the experiences of war. Hi, I am Dan McTague, and I have included a short new meditation on this site for this Veterans Day to help center you in the power to reclaim your human nature after traumatic experiences. As a veteran, I understand the condition. As a spiritual teacher, I know how to recover the territory of ordinary human life that is surrendered in the process of fighting in a war. You have survived the ravages of war and lived through unspeakable tension, strain, and horror to return to your loved ones and the life you left behind. You may have noticed that things are different from the way you remember them to be. You may have noticed that you are different from the way you remember yourself to be. Too successfully return to civilian life, your life, there are some things that would be helpful for you to understand. By understanding these things and having the tools to transition from the stress of your war experience back into civilian life you can make a successful transition home. To help you continue to make a successful transition I have created a series of guided meditations with techniques and tools that can help. As my gift to you over the Memorial Day weekend I would like to give you the first three CDs in my new “I’m Free” series . If you use them to resolve and come through the normal residuals of your wartime experience, you can transition back into the experience of being home and leave the experience of war where it belongs, behind you. Perhaps the first thing you need to understand about the transition to home is that you have been through an experience that required you to have and to hone skills that may have saved your life and the lives of your buddies many times, but applying those same skills to your family life and your daily life can create challenges for you and those you love. In wartime, you had to be super vigilant. The slightest sound may have signaled a need to bring you to full awareness, full alert, on guard and ready. That was true as you slept and as you were awake. This state of readiness was appropriate to war. This same state of readiness can result in sleepless nights that wear away your patience. You had to sleep with that edge in war. You now need to relearn a pathway to sleep that turns down that energy to let you have peaceful sleep.